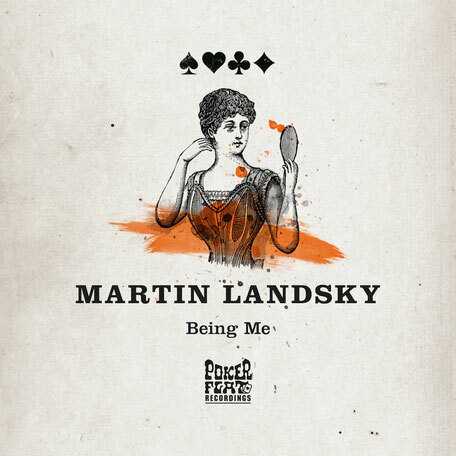 Martin Landsky drops ‘Being Me’ on Poker Flat, another electronic outing for the producer. Martin’s discography is a journey through many styles and labels - from Mobilee and Systematic, through cuts for Upon You, and onto his long association with Poker Flat Recordings that goes back to 2001. Even with that legacy, 'Being Me' is possibly among his strongest for the label - a tough dancefloor workout loaded with mischievous intent and a swirling, narcotic urgency. The Dub Remix reconfigures the track elements into a more dubwise version - space and echo play an increased role, leaving ample room for each element. The third track, 'Norway' - revolves around a crisp and funky groove and sparking, icy synths that cut their way through the mix.